The latest reviewed version was checked on 5 November 2018. There are template/file changes awaiting review. 2 What are the existing practices in developing countries with respect to buying and paying online? 3 What is an electronic payment system? Why is it important? 5 What is online publishing? What are its most common applications? Various applications of e-commerce are continually affecting trends and prospects for business over the Internet, including e-banking, e-tailing and online publishing/online retailing. A more developed and mature e-banking environment plays an important role in e-commerce by encouraging a shift from traditional modes of payment (i.e., cash, checks or any form of paper-based legal tender) to electronic alternatives (such as e-payment systems), thereby closing the e-commerce loop. What are the existing practices in developing countries with respect to buying and paying online? Cash on delivery. Many online transactions only involve submitting purchase orders online. Payment is by cash upon the delivery of the physical goods. Bank payments. After ordering goods online, payment is made by depositing cash into the bank account of the company from which the goods were ordered. Delivery is likewise done the conventional way. Innovations affecting consumers, include credit and debit cards, automated teller machines (ATMs), stored value cards, and e-banking. Innovations enabling online commerce are e-cash, e-checks, smart cards, and encrypted credit cards. These payment methods are not too popular in developing countries. They are employed by a few large companies in specific secured channels on a transaction basis. Innovations affecting companies pertain to payment mechanisms that banks provide their clients, including inter-bank transfers through automated clearing houses allowing payment by direct deposit. What is an electronic payment system? Why is it important? An electronic payment system (EPS) is a system of financial exchange between buyers and sellers in the online environment that is facilitated by a digital financial instrument (such as encrypted credit card numbers, electronic checks, or digital cash) backed by a bank, an intermediary, or by legal tender. EPS plays an important role in e-commerce because it closes the e-commerce loop. In developing countries, the underdeveloped electronic payments system is a serious impediment to the growth of e-commerce. In these countries, entrepreneurs are not able to accept credit card payments over the Internet due to legal and business concerns. The primary issue is transaction security. The absence or inadequacy of legal infrastructures governing the operation of e-payments is also a concern. Hence, banks with e-banking operations employ service agreements between themselves and their clients. The relatively undeveloped credit card industry in many developing countries is also a barrier to e-commerce. Only a small segment of the population can buy goods and services over the Internet due to the small credit card market base. There is also the problem of the requirement of “explicit consent” (i.e., a signature) by a card owner before a transaction is considered valid-a requirement that does not exist in the U.S. and in other developed countries. What is the confidence level of consumers in the use of an EPS? Many developing countries are still cash-based economies. Cash is the preferred mode of payment not only on account of security but also because of anonymity, which is useful for tax evasion purposes or keeping secret what one’s money is being spent on. For other countries, security concerns have a lot to do with a lack of a legal framework for adjudicating fraud and the uncertainty of the legal limit on the liability associated with a lost or stolen credit card. In sum, among the relevant issues that need to be resolved with respect to EPS are: consumer protection from fraud through efficiency in record-keeping; transaction privacy and safety, competitive payment services to ensure equal access to all consumers, and the right to choice of institutions and payment methods. Legal frameworks in developing countries should also begin to recognize electronic transactions and payment schemes. E-banking includes familiar and relatively mature electronically-based products in developing markets, such as telephone banking, credit cards, ATMs, and direct deposit. It also includes electronic bill payments and products mostly in the developing stage, including stored-value cards (e.g., smart cards/smart money) and Internet-based stored value products. In China, while banks issue credit cards and while many use debit cards to draw directly from their respective bank accounts, very few people use their credit cards for online payment. Cash-on-delivery is still the most popular mode of e-commerce payment. Nonetheless, online payment is gaining popularity because of the emergence of Chinapay and Cyber Beijing, which offer a city-wide online payment system. What is the status of e-banking in developing countries? E-banking in developing countries is in the early stages of development. Most banking in developing countries is still done the conventional way. However, there is an increasing growth of online banking, indicating a promising future for online banking in these countries. Below is a broad picture of e-banking in three ASEAN countries. In the Philippines, Citibank, Bank of the Philippine Islands (BPI), Philippine National Bank, and other large banks pioneered e-banking in the early 1980s. Interbank networks in the country like Megalink, Bancnet, and BPI Expressnet were among the earliest and biggest starters of ATM (Automated Teller Machines) technology. BPI launched its BPI Express Online in January 2000. The most common online financial services include deposits, fund transfers, applications for new accounts, Stop Payment on issued checks, housing and auto loans, credit cards, and remittances. In Singapore, more than 28% of Internet users visited e-banking sites in May 2001. Research by NetValue (an Internet measurement company) shows that while the number of people engaging in online banking in Singapore has increased, the average time spent at sites decreased by approximately four minutes from March 2001 to May 2001. This decline can be attributed to the fact that more visitors spend time completing transactions, which take less time than browsing different sites. According to the survey, two out of three visitors make a transaction. All major banks in Singapore have an Internet presence. They offer a wide range of products directly to consumers through proprietary Internet sites. These banks have shifted from an initial focus on retail-banking to SME and corporate banking products and services. E-banking in Malaysia emerged in 1981 with the introduction of ATMs. This was followed by tele-banking in the early 1990s where telecommunications devices were connected to an automated system through the use of Automated Voice Response (AVR) technology. Then came PC banking or desktop banking using proprietary software, which was more popular among corporate customers than retail customers. On June 1, 2000, the Malaysian Bank formally allowed local commercial banks to offer Internet banking services. On June 15, 2000, Maybank (www.maybank2U.com), one of the largest banks in Malaysia, launched the country’s first Internet banking services. The bank employs 128-bit encryption technology to secure its transactions. Other local banks in Malaysia offering e-banking services are Southern Bank, Hong Leong Bank, HSBC Bank, Multi-Purpose Bank, Phileo Allied Bank and RHB Bank. Banks that offer WAP or Mobile banking are OCBC Bank, Phileo Allied Bank and United Overseas Bank. What market factors, obstacles, problems and issues are affecting the growth of e-banking in developing countries? Human tellers and automated teller machines continue to be the banking channels of choice in developing countries. Only a small number of banks employ Internet banking. Among the middle- and high-income people in Asia questioned in a McKinsey survey, only 2.6% reported banking over the Internet in 2000. In India, Indonesia, and Thailand, the figure was as low as 1%; in Singapore and South Korea, it ranged from 5% to 6%. In general, Internet banking accounted for less than 0.1% of these customers’ banking transactions, as it did in 1999. The Internet is more commonly used for opening new accounts but the numbers are negligible as less than 0.3% of respondents used it for that purpose, except in China and the Philippines where the figures climbed to 0.7 and 1.0%, respectively. This slow uptake cannot be attributed to limited access to the Internet since 42% of respondents said they had access to computers and 7% said they had access to the Internet. The chief obstacle in Asia and throughout emerging markets is security. This is the main reason for not opening online banking or investment accounts. Apparently, there is also a preference for personal contact with banks. Access to high-quality products is also a concern. Most Asian banks are in the early stages of Internet banking services, and many of the services are very basic. What are the trends and prospects for e-banking in these countries? 1. Lead users: 38% of respondents indicated their intention to open an online account in the near future. These lead users undertake one-third more transactions a month than do other users, and they tend to employ all banking channels more often. 2. Followers: An additional 20% showed an inclination to eventually open an online account, if their primary institution were to offer it and if there would be no additional bank charges. 3. Rejecters: 42% (compared to the aggregate figure of 58% for lead users and followers) indicated no interest in or an aversion to Internet banking. It is important to note that these respondents also preferred consolidation and simplicity, i.e., owning fewer banking products and dealing with fewer financial institutions. E-tailing (or electronic retailing) is the selling of retail goods on the Internet. It is the most common form of business-to-consumer (B2C) transaction. The year 1997 is considered the first big year for e-tailing. This was when Dell Computer recorded multimillion dollar orders taken at its Web site. Also, the success of Amazon.com (which opened its virtual doors in 1996) encouraged Barnes & Noble to open an e-tail site. Security concerns over taking purchase orders over the Internet gradually receded. In the same year, Auto-by-Tel sold its millionth car over the Web, and CommerceNet/Nielsen Media recorded that 10 million people had made purchases on the Web. What are the trends and prospects for e-tailing? Jupiter projects that e-tailing will grow to $37 billion by 2002. Another estimate is that the online market will grow 45% in 2001, reaching $65 billion. Profitability will vary sharply between Web-based, catalog-based and store-based retailers. There was also a marked reduction in customer acquisition costs for all online retailers from an average of $38 in 1999 to $29 in 2000. An e-retail study conducted by Retail Forward showed that eight of its top 10 e-retailers 40 were multi-channel-that is, they do not rely on online selling alone. 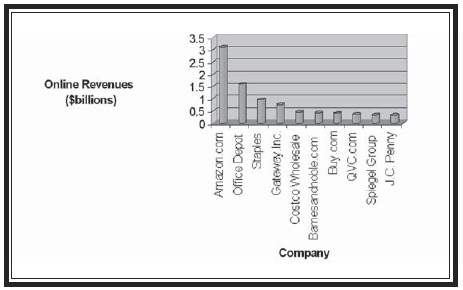 Figure 7 shows the top 10 e-tailers by revenues generated online for the year 2001. In addition, a study by the Boston Consulting Group and Shop.org revealed that the multi-channel retail market in the U.S. expanded by 72% from 1999 to 2002, vis-àvis a compounded annual growth rate of 67.8% for the total online market for the years 1999-2002. What is online publishing? What are its most common applications? Online publishing is the process of using computer and specific types of software to combine text and graphics to produce Web-based documents such as newsletters, online magazines and databases, brochures and other promotional materials, books, and the like, with the Internet as a medium for publication. What are the benefits and advantages of online publishing to business? Among the benefits of using online media are low-cost universal access, the independence of time and place, and ease of distribution. These are the reasons why the Internet is regarded as an effective marketing outreach medium and is often used to enhance information service. What are the problems and issues in online publishing? The problems in online publishing can be grouped into two categories: management challenges and public policy issues. The measurement issue, which pertains to the effectiveness of a Web site and the fairness of charges to advertisers. The most common public policy issues have to do with copyright protection and censorship. Many publishers are prevented from publishing online because of inadequate copyright protection. An important question to be addressed is: How can existing copyright protections in the print environment be mapped onto the online environment? Most of the solutions are technological rather than legal. The more common technological solutions include encryption for paid subscribers, and information usage meters on add-in circuit boards and sophisticated document headers that monitor the frequency and manner by which text is viewed and used. This page was last edited on 5 November 2018, at 14:32.